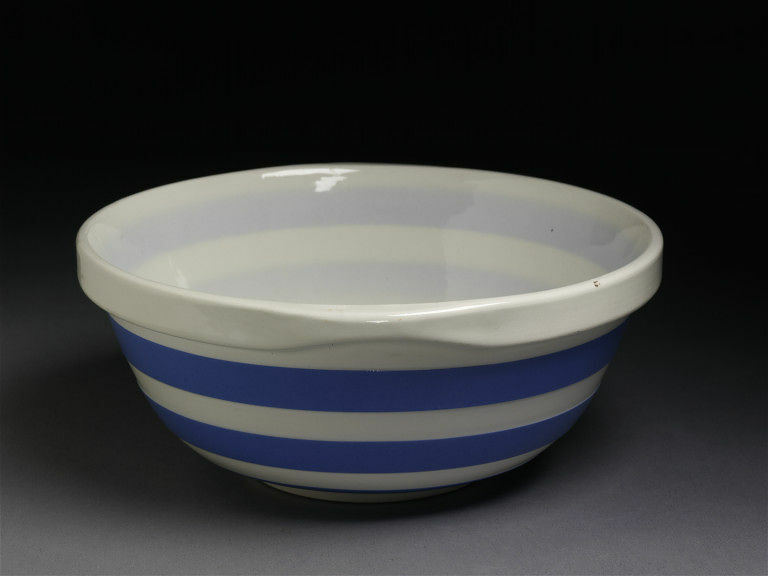 Lead-glazed white earthenware mixing bowl with blue slip, lathe turned bowl-shaped with rim protruding from body on each side to form handles. Decorated with alternative white and blue horizontal bands. 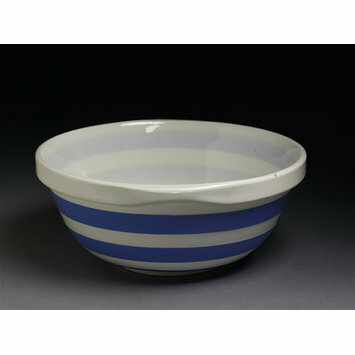 'Cornish Kitchenware' mixing bowl, lathe turned white earthenware with lead glaze and blue slip, manufactured by T.G. Green & Co. Ltd., England, ca. 1930. Journal of the Northern Ceramic Society. 1994, Vol. 11 , pp.131-135.